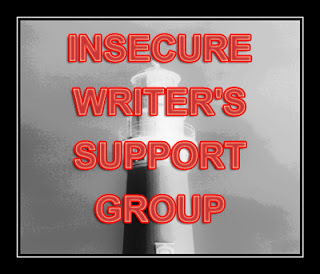 It's the first Wednesday of February, so time for the Insecure Writer's Support Group, created by Alex J. Cavanaugh. This monthly group meets the first Wednesday. All are welcome. Come along and share your writing insecurities and inspirations. Be sure to visit other participants and encourage them, too. To sign up, click on Alex's name above, go to the IWSG tab, and enter your blog link. Then post. Easy! Our co-hosts this month are Misha Gericke, LK Hill, Juneta Key, Christy and Joylene Buter! Stop by and say hi to them while you're out. Today's optional question: How has being a writer changed your experience as a reader? Unfortunately, I notice issues in writing much more than I did before, though I try to block out the writer in me when I'm reading, as it's such a relaxing thing for me. Typos, cliches, things I'm editing in my own work, etc., all these stick out when I'm reading. Also, bad plot devices and characterizations. I try to learn from the things that pull me out of a story now, so I can attempt to not make the same mistake. Jumping into my monthly stats. I like to keep myself accountable by reporting my stats each IWSG, so here are my January stats. Currently have 9 pieces out on submission. I have several short stories I need to finish edits on so I can get those out, too. I'd like to have 20 short stories going at a time, but I'm not up to that productivity level yet. So I'm participating in a writing challenge for writing every day in February via Facebook. I'll share that challenge to my Warrior Muse FB page in case anyone else wants to jump in. Link time! Bear in mind that I am not endorsing any of these, merely passing them along. Always do your own due diligence before submitting. Vine Leaves Literary Journal is open for submissions of vignettes for their May issue. 800 words or less. Poetry and vignettes. Pays $5 AUD. Deadline February 28. Imprimo is open for submissions of short stories to their current theme: Time. Any genre. Also take poetry. 2000-6000 words. Pays in royalties. Deadline February 28. Parsec Ink is open for submissions of short stories to their current theme: Cravings. Up to 6000 words. Pays $.02/word. Deadline February 28. Body Parts Magazine is open for submissions of short stories to their current theme: Killer Clowns and Freak Shows for their Spring/Summer issue. Flash fiction up to 1000 words, short stories up to 8000 words. Pay varies by type between $5 and $20. Deadline March 1. Upstreet Literary Magazine is open for submissions of fiction and creative nonfiction for their 13th issue. 5000 words or less. Pays between $50 and $250 per piece. Deadline March 1. The Literary Hatchet is open for submissions of short dark fiction, poetry, narratives, art, photography, illustrations, etc. Up to 6000 words. Pays up to $10. Deadline for April issue March 1. Contrary is open for submissions of original commentary, fiction, and poetry. Pays $20. Deadline March 1. Skirt! Magazine is open for submissions of essays by women to their current themes. See their page for each month's themes. 800 to 1100 words. Pays $200. Current deadline March 1. Mugwump Press is open for submissions of short sci-fi and fantasy stories having to do with time travel and related mattes for their anthology Afrofuturism. 1000 to 7500 words. Pays $.01/word. Deadline March 1. Goblin Fruit is open for submissions of fantastical poetry. Pays $15. Deadline March 3. What are your insecurities? Has writing changed the way you read? How are your stats for this month? Are you submitting? Any of these links of interest? Anything to share? Personal rejections are the best as odd as that sounds. But those insights can be so darn helpful! I completely agree! It also means there was enough of an impact for them to want to give personal feedback. Body Parts Magazine - such a curious title. Sorry no acceptances, but you still have considerations. I bet if you get up to twenty out at a time, you'll really start seeing some acceptances. Body Parts is a mature subject horror magazine, too, so I figure the title is apt, but yes, curious. It was! It's been a productive year, which will hopefully start paying off soon. Writing every day like that will keep you productive and accountable. Yes, it definitely well. I can't always pull it off, but I do try. Writing is much like exercise -- we get better if we do it daily. H.R. is right -- at least personal rejections show that your submission showed enough promise to merit them taking time to write you. I'm definitely a fan of personal rejections, compared to form ones! I find that I get more the longer I do this, so that's good. Hi Shannon - I hear you with the typos and paragraphs that can't be read comfortably (probably like this sentence!) ... and learning to read without worrying about the things that worry us in a book is difficult. Thanks for sharing your stats each month. I find them to inspire me to try harder. Fingers crossed for your shortlisted pieces. I'm so glad to hear that! I was hoping showing how many rejections I got would make it known that rejection isn't as bad as seems. Thanks for stopping by my blog. I totally forgot about IWSG. Feb. 1 just snuck right up on me! Thanks for the links. I might need to check out a few! Thanks for the links! And yes, writing has made me more aware of problems/mistakes etc in the books I read, but unless the story doesn't catch me or I simply don't like the style, I over-look a lot. I can usually overlook it, too. It's frustrating when it's not a good enough story for me to overlook it. I had to tell someone online how awesome you are about submitting & winning through the numbers game just yesterday. It really is inspiring. I think of you as the short story queen. Congrats on the 'good' rejections and best of luck with those still out there. I'm amazed at how much you submit. Keep at it! You're an inspiration in the submitting game we play. Thanks for the links. I think my insecurity is that there is nothing original to write. You're awfully busy writing and submitting. Kudos. But there are original twists! I just counted 17 links on your side-bar which lead to books you've been published in! You are definitely Queen Of Magazine/Story Submissions!